White House says recent encounters between Iranian vessels and American warships in the Gulf are unacceptable. Actions by Iranian vessels in several encounters with U.S. warships in the Gulf this week are cause for concern and increase risks of miscalculation, the White House said on Friday, according to Reuters. 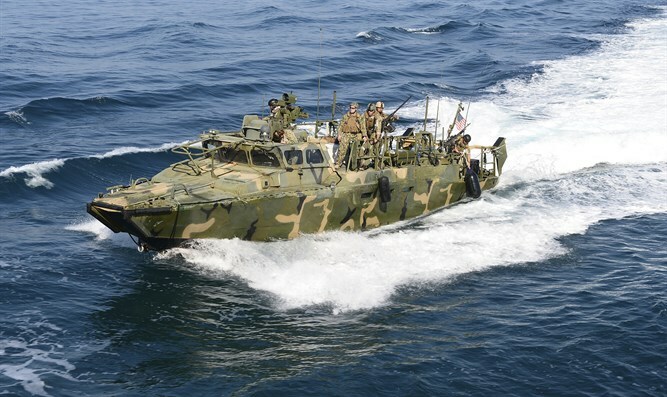 On Thursday, it was revealed that a U.S. Navy coastal patrol ship fired three warning shots at an Iranian ship that sailed within 200 yards in the Northern Persian Gulf. That incident was one of four close calls this week involving U.S. and Iranian vessels. The intentions of the Iranian vessels in the incidents is not clear, White House spokesman Josh Earnest said in a news briefing, but the behavior is unacceptable and "in a compressed space like the Strait of Hormuz it increases the risk associated with possible miscalculations."